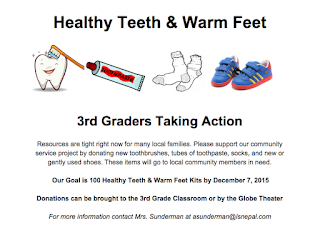 Third grade is studying the local environment of Nepal. Students have been exploring environmental resources and their availability. Students grew concerned about the impact of the fuel shortage on local families. Many families are having to spend more money to obtain basic resources. 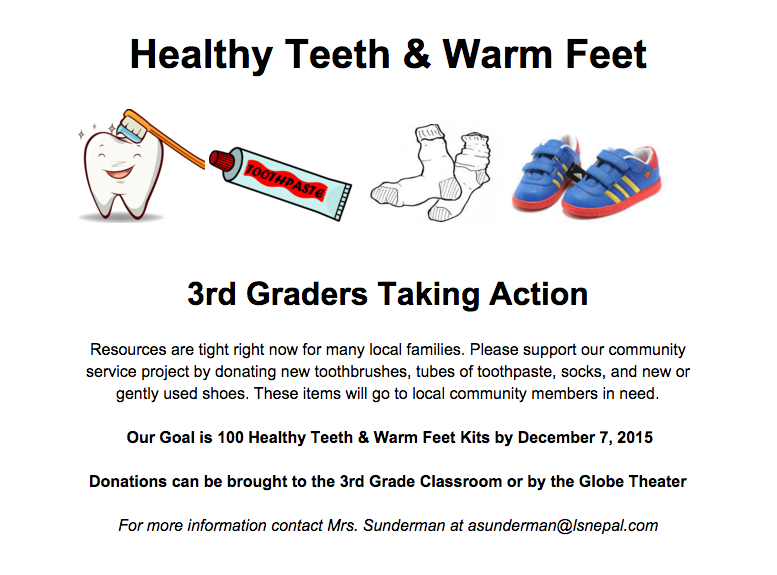 Third graders want to help care by providing community members with a few basic supplies such as: new toothbrushes, tubes of toothpaste, new socks, and new or gently used shoes. All donations are greatly appreciated and should arrive by December 7. Thank you!